From the simplest observations in nature to detailed measuring of intricate forms, we find geometry everywhere in the world around us. 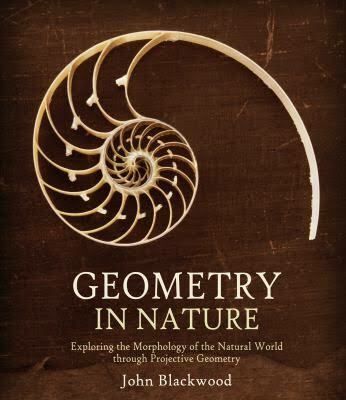 In this magnificent book, John Blackwood explores various kinds of symmetry in diverse realms of nature. He considers the fundamental forms of minerals, plants, animals, and humans, before looking at spirals, vortices, buds, and other complex shapes. Using projective geometry as a basis, he shows how many forms in nature are generated by the same basic geometrical process, but significant disparities lead to the wondrous variety found in our universe. Fully illustrated more than five hundred photographs, drawings, and diagrams, this book is both beautiful and inspirational.